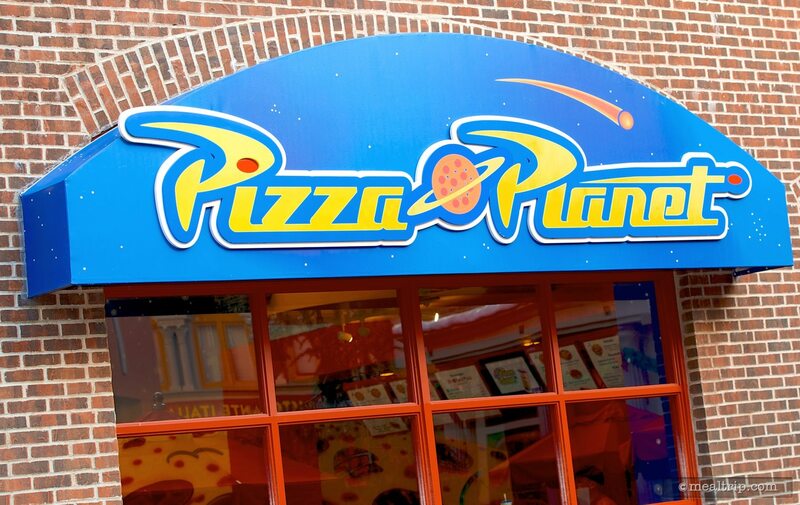 The Toy Story Pizza Planet Arcade has a few styling details from the Toy Story Movies, but is mostly an actual video game arcade. There is indoor seating, on the main game floor and on a second “loft” level, and also outdoor seating under large umbrellas. 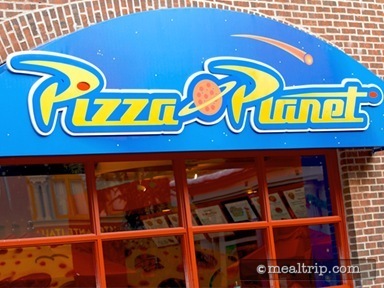 The menu, not surprisingly, offers several different pizzas. 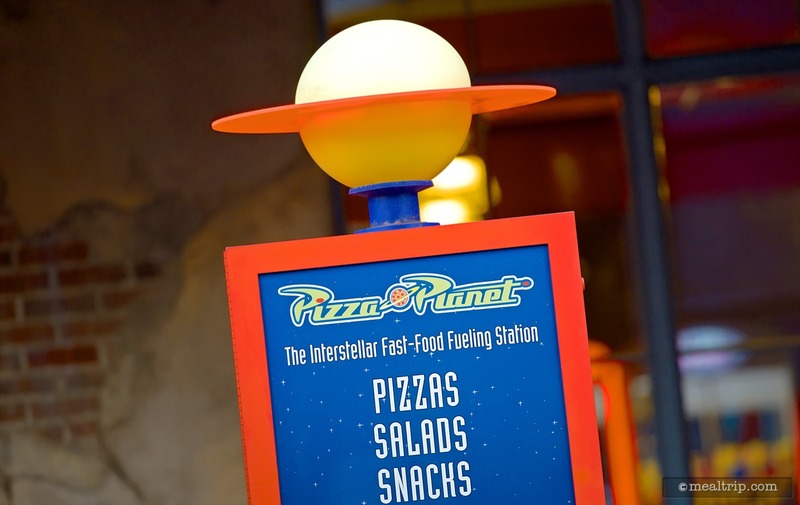 A caesar salad, sub, and pasta selection are also available, along with basic dessert and beverages, including beer.